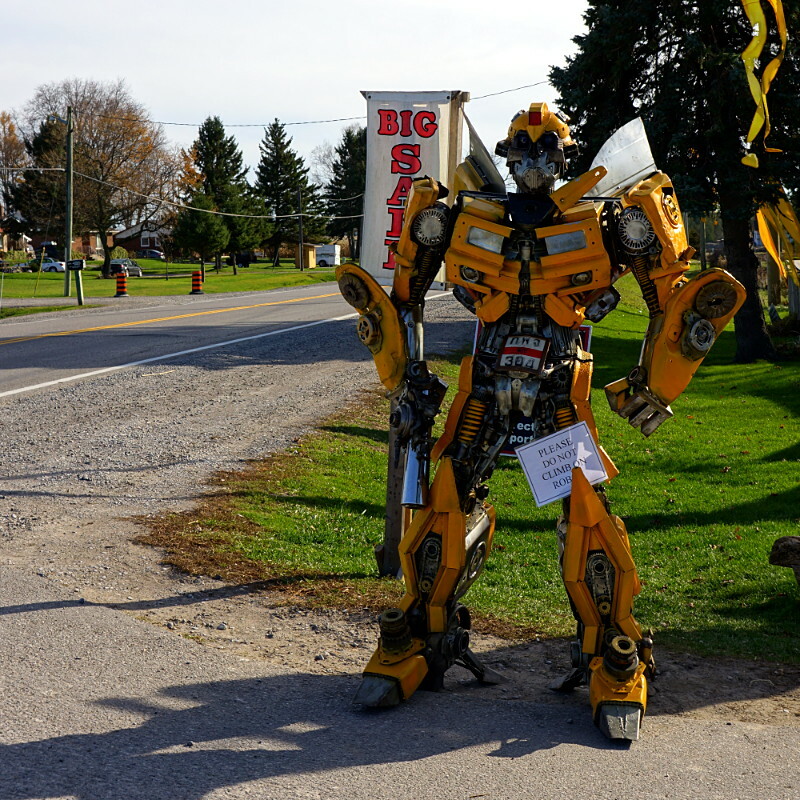 Primitive Designs in Port Hope always has something unexpected on display for passers-by on County Road 28. 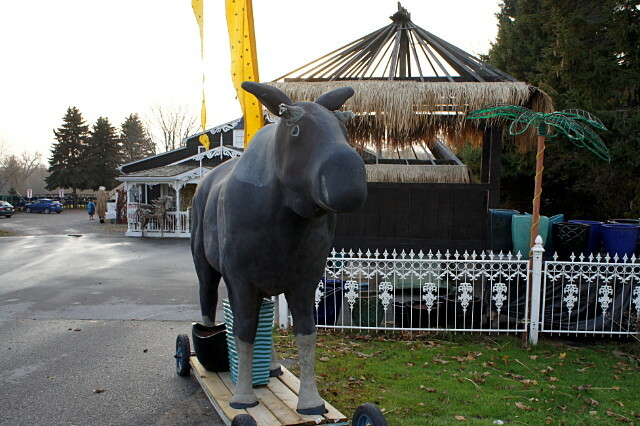 Last year, it was a Toronto Moose. 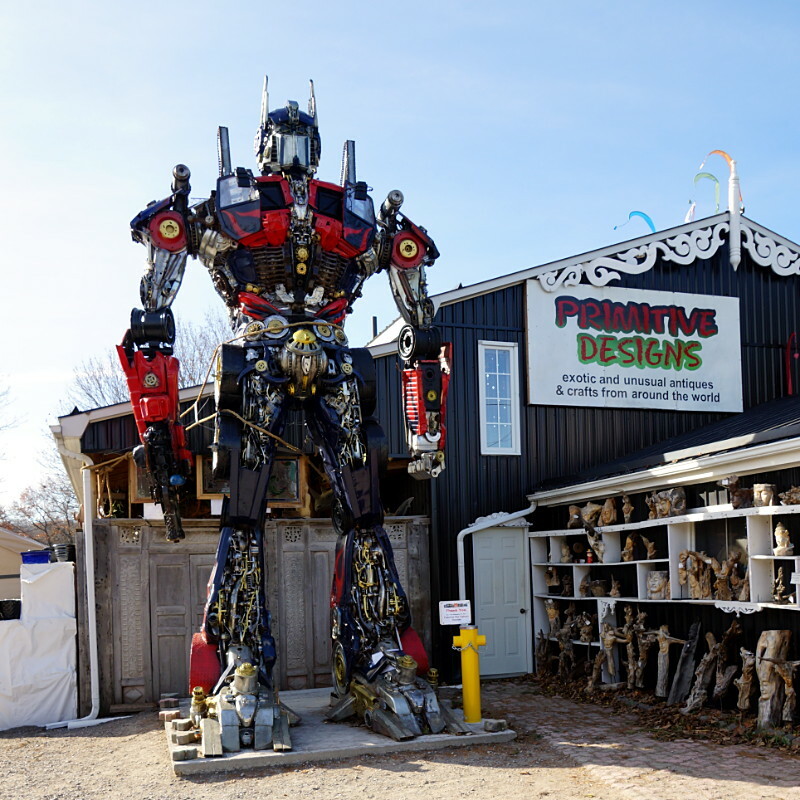 This year, a two-storey-tall Optimus Prime and his merely human-sized companion, both made of car parts, grace the store entrance. 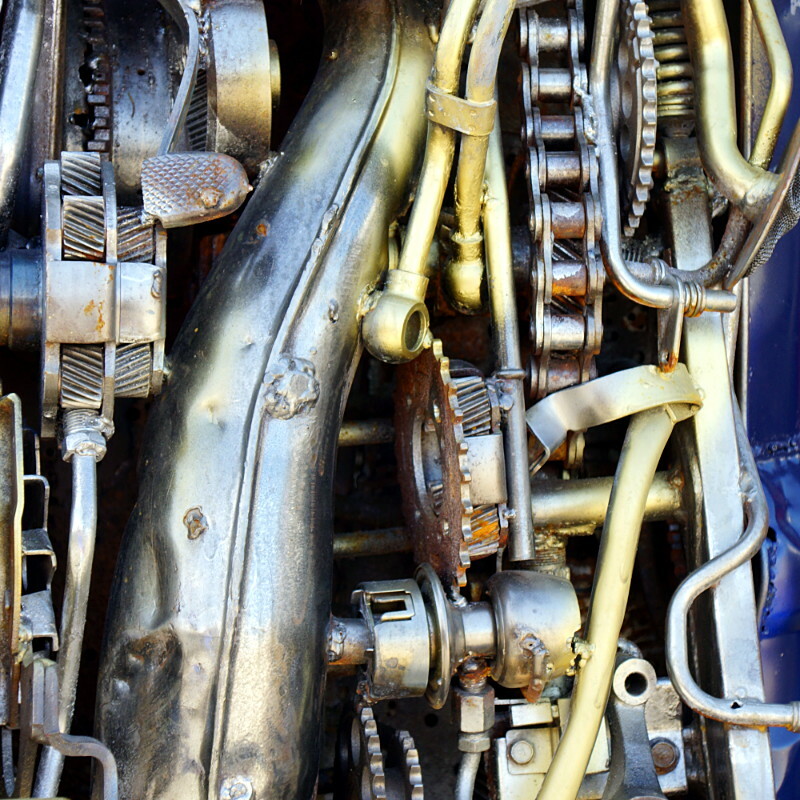 An employee hinted that more may be on the way for next year. A fellow gawker was standing there all agog, barely able to string together a coherent sentence while standing in Optimus Prime’s shadow. 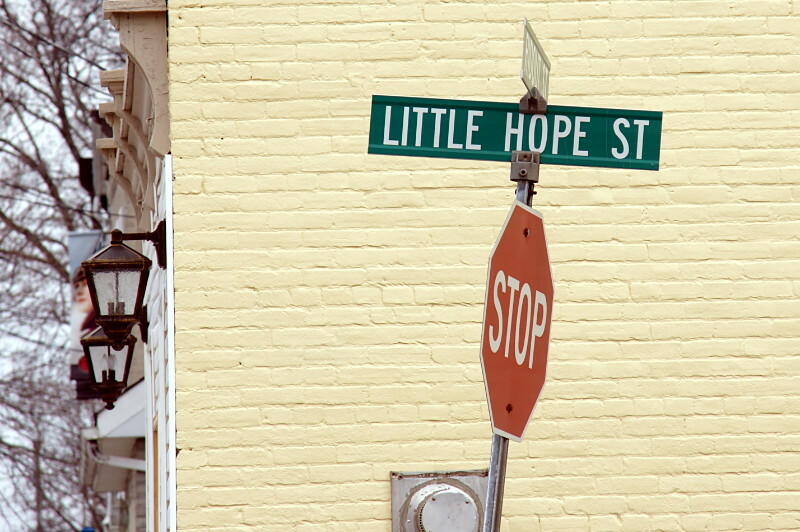 There’s still some hope here, but just a little. 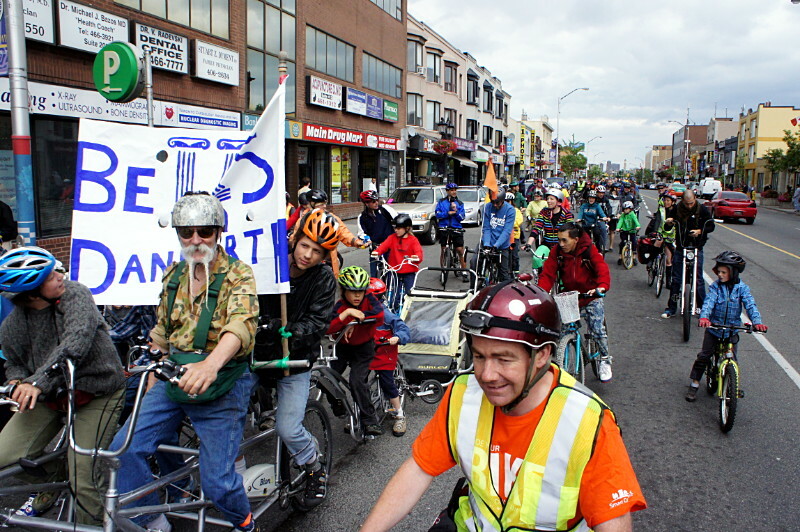 Mid-afternoon on Saturday: The first ever Bells on Danforth ride pauses at Pape. Early evening on Saturday: Lakeshore Road outside Newcastle. Saturday was a day of contrasts and lots of fun bike riding. In the morning, I was helping to set up the skills course for the Ward 35 bike rodeo in Scarborough. By mid-afternoon, I was cycling to Queen’s Park very slowly with 90 other cyclists as part of the inaugural Bells on Danforth ride. 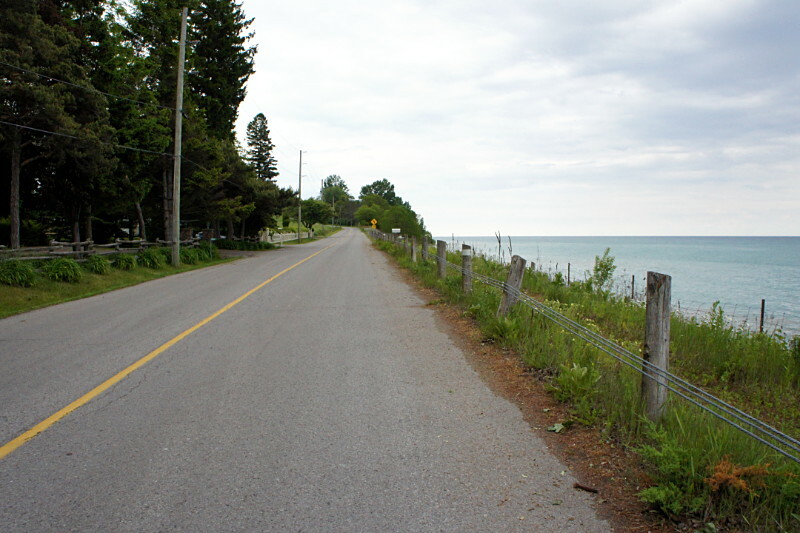 And in the early evening, I was pedalling down a virtually deserted Lakeshore Road on Lake Ontario between Newcastle and Port Hope. After cycling out of Newcastle and before arriving on the main drag of Port Hope 90 minutes later, I encountered a scant eleven cars and three pedestrians—and none at all of either for a full 45-minute stretch. With the sun finally peeking out from the clouds for the last half hour of my ride, it was the perfect way to unwind from a long day of good cycling and lousy weather.